The red-heads of SVU are in a league of their own. They are fierce, fresh, and fiery – and we’re not just talking about their radiant locks. While they are most prone to burning under the sun, they’ll be taking on the heat under the roof of justice. Featuring Carrie Preston, Lauren Ambrose, Swoosie Kurtz, Kathy Griffin, Carol Burnett, and Debra Messing. The Superstars and Divas from the World Wrestling Entertainment® Universe take the stage live in front of thousands in attendance at Barclays Center in Brooklyn, NY and the millions of fans watching at home. RAW Superstars and Divas include John Cena, CM Punk, AJ Lee, Roman Reigns, Kane, The Miz, Eve and Zack Ryder. 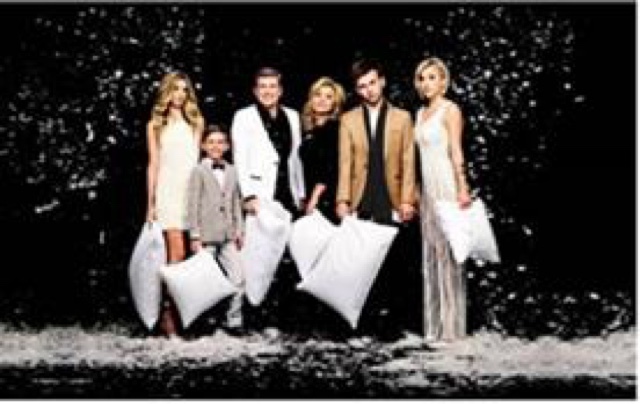 Catch up with your favorite outspoken and overprotective, but loving husband and father, Todd Chrisley and his colorful clan! The Superstars and Divas from the World Wrestling Entertainment® Universe take the stage live in front of thousands in attendance at the Mohegan Sun Arena in Uncasville, CT and the millions of fans watching at home. RAW Superstars and Divas include John Cena, CM Punk, AJ Lee, Roman Reigns, Kane, The Miz, Eve and Zack Ryder. Lindsie challenges Todd and Julie to change their unhealthy habits. When Chase gets his wisdom teeth removed, Todd takes advantage of his altered state of mind. Harvey, Louis and Donna search for a missing link to Sutter’s inside trading. Mike takes a drastic step to get Kevin on his side. Rachel and Jessica give Leonard Bailey some bad news. fsociety releases a video. darlene acts on a desire from long ago. trenton and mobley smh. Writer and tech consultant on MR. ROBOT, Kor Adana, stops by the studio as the special guest. After Camila’s (Verónica Falcón) failed attempt to kill “The Birdman” (Brent Smiga), Epifanio (Joaquim de Almeida) convinces her to return to Mexico so he can protect her. In grave danger, Teresa (Alice Braga) takes Maria (Lanell Pena) and her son, Angel (Jeremy Becerra), through the tunnel to Mexico.